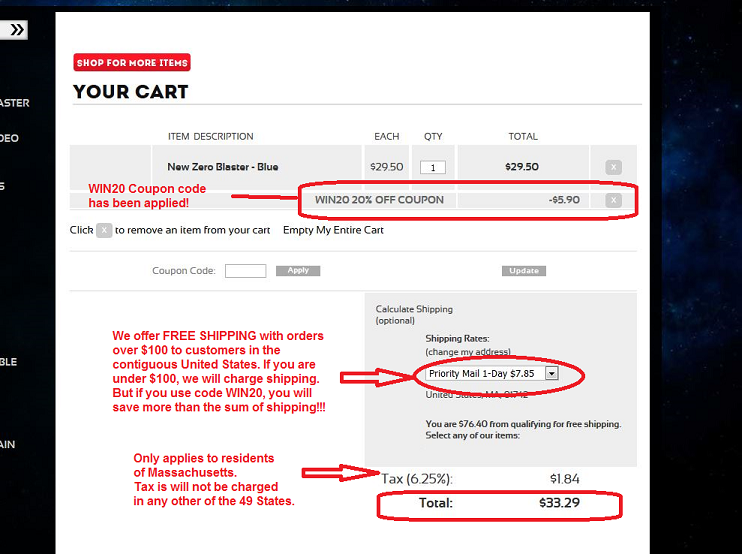 Then click the "apply" box to the just to the right of were you typed your code. 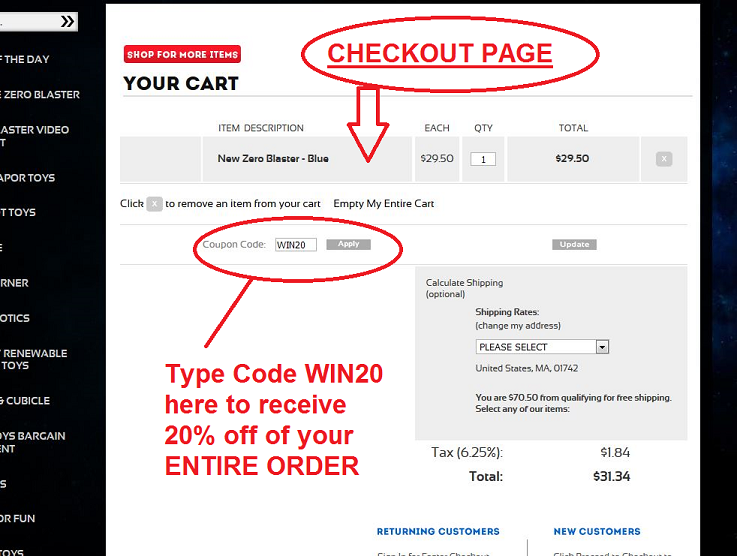 The system will load / refresh the screen and you will see your 20% discount applied to your order. if you have any questions. Happy Saving! !